design and art — especially the analysis of abstract art and the design of tools for computer artists. A complete list of publications, with downloadable copies, can be found at Neil Dodgson's publication page. Fellow of the Institution of Engineering and Technology and of the Institution of Mathematics and its Applications. Chartered member of the Engineering Council and of Engineering New Zealand. Member of the ACM, ACM SIGGRAPH and the IS&T. 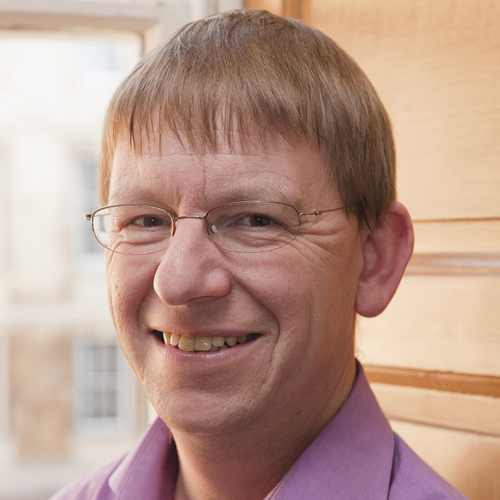 Neil Dodgson was, for twenty years, head of the Graphics & Interaction Research Group at the University of Cambridge Computer Laboratory. In 2016, he returned to New Zealand to be Programme Director of Victoria's Computer Graphics Programme. He is one of the leaders of the largest computer graphics research group in the Southern Hemisphere, comprising the graphics research teams in the School of Engineering and Computer Science and the Computational Media Innovation Centre (headed by Ken Anjyo and TJ Rhee). Professor Dodgson chairs Victoria's pan-university Digital Futures research theme, which considers how technology will affect society in all its aspects. Professor Dodgson grew up in Taihape, in the rural central North Island, attending what was then the second-smallest secondary school in New Zealand. His first degree was in Computer Science and Physics, from Massey University in Palmerston North, where he studied under Prof. Paul Callaghan. In 1989 he was awarded a scholarship to study at the University of Cambridge. Originally planning to be in Cambridge for 3 years, he went on instead to a semi-industrial post-doctoral position helping to design and develop a novel 3D TV, becoming one of the world's experts in the various ways that 3D TV can be built. In 1995 he was appointed to a lectureship at Cambridge. His research expanded over the years to include ways to model three-dimensional shape and then to considerations of the intersection of art, design, computing, and psycho-physics. Over his 20 years at Cambridge he, at various times, managed teaching, research, finance, and administration for the Faculty of Computer Science & Technology. He taught Cambridge's computer graphics courses and, more recently, the highly regarded Research Skills course on the Cambridge Masters in Advanced Computer Science.